Democrats have an Obamacare punch list: The president’s party prepares for more bad health care news. Healthcare.gov is supposed to work soon. Democrats are preparing for more bad news. 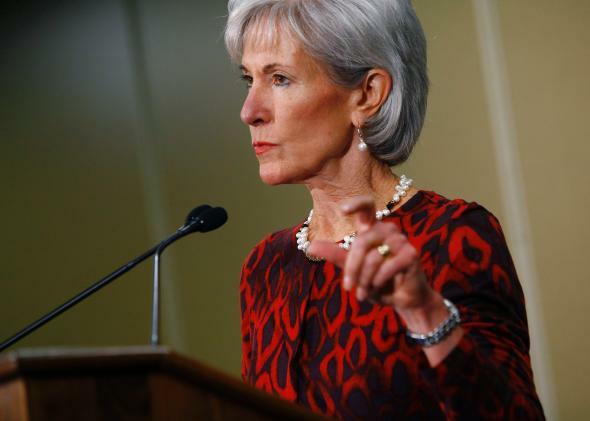 Kathleen Sebelius is trying to keep expectations low for the revamped healthcare.gov, but Democrats are preparing for more bad news. The administration says the problem—the so-called 834 forms—is at the top of the “punch list,” but they have been saying that for months and aren’t saying how much progress has been made. If this glitch remains, people who believed they were on the verge of getting new coverage will wonder what’s up. They’ll call their member of Congress, and those members will re-up their calls for delays and changes in the law. Sen. Al Franken has said he is open to a delay of the individual mandate if the problems with the system aren’t fixed by the end of the month. A lingering 834 problem would appear to qualify as not being fixed. While HHS troubleshooters may have a policy punch list, Franken and other Democrats in Congress have a “political punch list” of their own. Vulnerable Democrats can’t improve the implementation of the law, but they can limit their political liability by acting quickly when problems arise and preparing themselves for the predictable problems that are coming next year. The political damage to Democrats has been growing since the healthcare.gov debacle started. In the generic ballot poll—the crude but talismanic survey question used to test the relative health of the two parties—Republicans have closed a seven-point deficit they had after the government shutdown. Republicans are now ever so slightly favored over Democrats—42 to 41—in the average of polls. This shift is worrying to Democrats. Members of Congress and party strategists believe their problem is not just the broken promises and issues created by the site but also their party’s slow response time. Democrats were caught flat-footed on the expiration of the promise that if you like your insurance, you can keep it. Voters wanted to see them on the case, trying to fix the situation. By the time the president apologized and then offered a “fix” that allowed insurance companies to permit people to keep their plans, the political damage had already been done. To avoid making the same mistake again, Democrats are looking at a number of problems likely to crop up in the next year and how they can be ready to respond when those little fires start. The first set of challenges will come from the delays the president used to lower the political pressure. On Wednesday the administration announced a delay in small businesses’ access to the online marketplace, which means a year of complaints from small business owners about having to manage the cumbersome signup through other methods. (Though businesses can still sign up through an agent or broker, which is how many of them do it now.) The employer mandate will also come up again. In July, the Obama administration delayed the requirement that businesses with more than 50 employees cover their employees. Next fall Democrats may face the same kinds of political pressure that forced the delay this year, including stories about how companies are cutting employees’ hours to avoid covering their health care. One of the problems with the back-end issues insurance companies are facing is the problem of “orphan records”—people who think they’ve signed up on the web site but the information never actually made it to the insurance company. Those people are going to assume they’re covered on Jan. 1, 2014. That’s a possible anecdote factory of people who need care, were covered before, thought they’d switched to the new program, and are now are shocked and panicked because they’re not. Another potential headache that needs to be managed is the president’s promise that people can keep their doctor if they would like to. That won’t be the case for many people as insurers restrict the choice of doctors to keep costs down. And then there’s the fact that the IRS will be handling the enforcement of the law—a highly unpopular institution the Republicans have exploited for political gain before. Those are the Affordable Care Act’s known aches and pains. Other problems Democrats worry about come from health system changes that have nothing to do with Obamacare but that Republicans will pin on the president’s law. For years, employers have been pushing more of the cost of providing health insurance to their workers, particularly in a slow economy. As that trend continues, some companies will make employees pick up a bigger share of the premiums for coverage of family members. That’s a long-term trend likely to continue and not directly attributable to the ACA. But Democrats worry that next year, all insurance market changes and market activity will be something they have to answer for. That could be upsetting enough to make Democrats want to punch somebody.